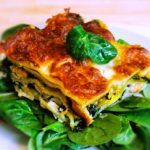 Smoked salmon lasagne with spinach: The lasagna has always had a place of honor on the tables of Italians, especially for Sunday lunch or special parties and special occasions! Our smoked salmon lasagne with spinach, is very simple to prepare and always a crowd pleaser. Undisputed protagonist of local menus, lasagna is infamous all over the place and each pocket of the world has their own version and favorite. From fish to fried and meat to mushroom, we have all experienced innumerable variations, all equally rich and appetizing! 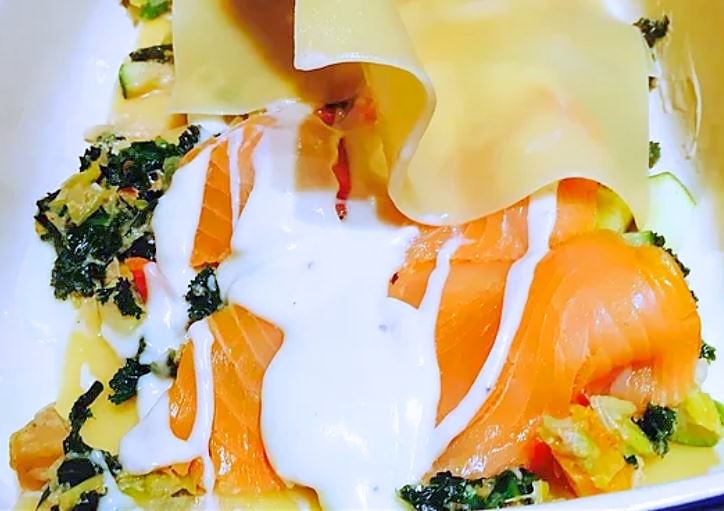 In our recipe, the classic sheets of egg lasagna alternate with soft slices of smoked salmon, accompanied by the freshness of spinach leaves and the velvety consistency of the inevitable béchamel. In addition, an abundance of black pepper and a few tufts of dill add a lively note that will make it truly irresistible! Impress your guests by bringing this lasagna to your table. A delicious reinterpretation of one of the most popular dishes from Italian cuisine – the salmon lasagne will live up to any occasion, from informal to formal! To make our smoked salmon lasagne, first prepare the béchamel (unless you are using Pasta Nostra creamy herb and white wine sauce): pour the milk in a saucepan, flavor it with the nutmeg and salt. Warm slowly over a low heat. Meanwhile, put the butter in another pan and let it melt over a low heat, then turn off the heat and add the flour all at once, stirring with a whisk to avoid the formation of lumps. Turn the heat back on low heat and continue stirring until the mixture of flour and butter becomes golden. At this point pour some hot milk over the roux of butter and flour and whisk, then add the rest of the milk and mix vigorously with the whisk until the sauce thickens to a creamy consistency. Remove from the heat and set aside. When the béchamel is ready, you can begin assembling the lasagna: take a rectangular 9 x 13 inch pan, pour a ladle of béchamel sauce onto the bottom and spread it well over the entire surface, then cover with sheets of lasagna. Pour another ladle of béchamel to cover the sheets, add a handful of previously washed and dried spinach leaves and cover with the slices of smoked salmon. Add a sprinkling of dill, a ground pepper and grated Parmesan, then repeat the layers until the ingredients are used up: you should obtain up to 4 layers in total. The top layer: make the last layer laying 3 sheets of lasagna, cover with the béchamel sauce, add some strips of smoked salmon, grated Parmesan cheese and a ground pepper. Once completed, cook the lasagna in a center of a preheated oven at 180°C/350°F for about 40 minutes until the top is golden brown. Remove from the oven and allow it to stand for 5 minutes before serving. 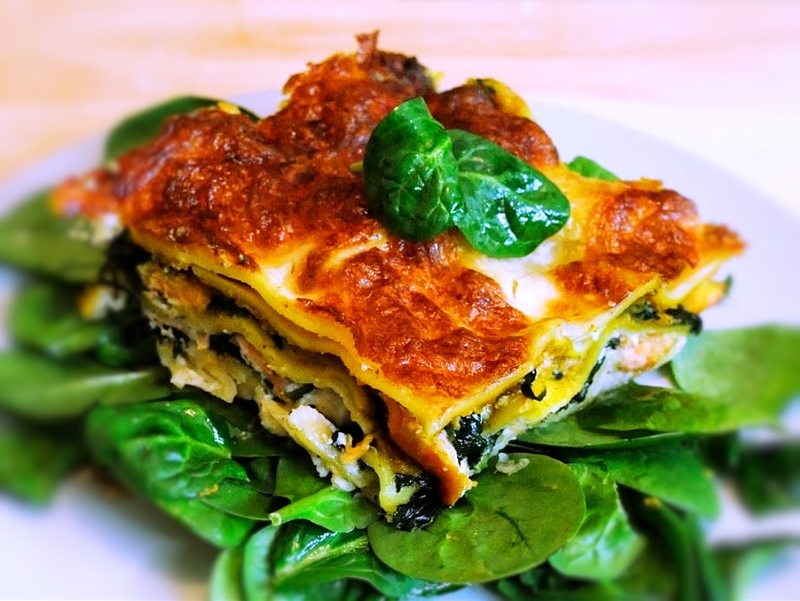 The smoked salmon and spinach lasagne can be stored in the refrigerator, in an airtight container, for up to 3 days. You can even freeze it if you have used fresh, not previously thawed ingredients.